I’ve been missing in action here but I have not given up on building the best version of me. Since my last post, I’ve started competing in local cyclocross races. Let’s just say, I’m addicted. I bought and built the bike above and sign up for any race my schedule will allow. My races are on Sundays but pick up races on Saturdays up in Wisconsin. The picture above is from today’s race, the Halloween Cyclocross Classic in Milwaukee, WI that is part of the WCA Cyclocross series. I was looking at a youtube from last year’s race expecting a fast and flowing course but the rain brought a change of plans. It rained all day and soaked the course to cake. The whole course was a slip and slide with about 4 inches deep of mud. Any uphill climb was a struggle to push your bike up, meanwhile your wheels were collecting mud. 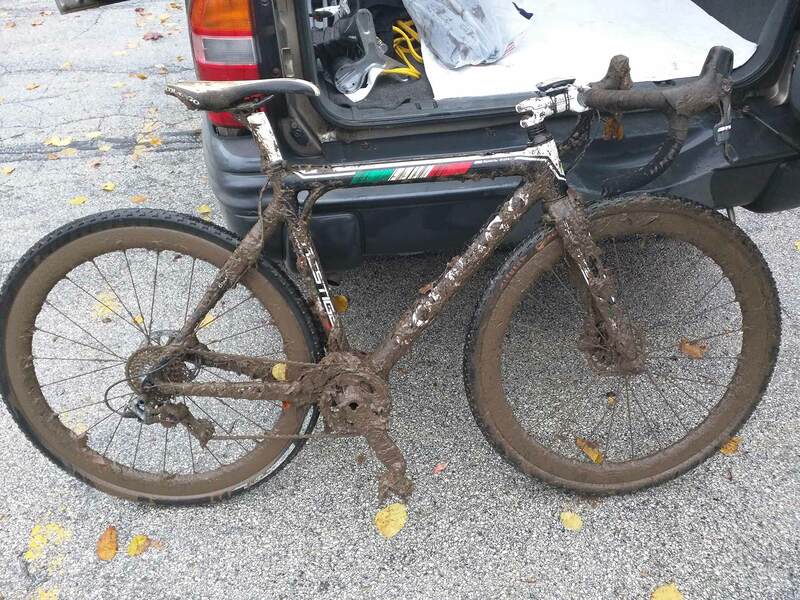 Picking up and running the bike was the only option which now was 10 pounds heavier with the mud caked to the bike. I finished 21st out of a field of 24 riders. The course was so slow, we usually get 4 laps in today but because of the weather, only two. The thought of giving up on the first lap through did cross my mind but I’m glad I endured. I need these type of muddy races to build experience and character. Tomorrow is Campton Cross in Campton Hills just outside of St Charles, Illinois that is part of the Chicago Cross Cup Series. After suffering from today’s slop, I’m ready for anything. Bring it.